ROME-MUSEUM.COM, FLORENCE-MUSEUM.COM, VENICE-MUSEUM.COM, MILAN-MUSEUM.COM, SIENA-MUSEUM.COM, MYFLORENCETOURS.COM, MYROMETOURS.COM, TRANSFER.TUSCANYALL.COM, ITALY-MUSEUM.CN are trademarks of TUSCANYALL.COM SRL, authorized Tour Operator with headquarters in Via di Scandicci 22r - 50123, Florence. By sending the reservation request by email or fax you acknowledge that you have read and accepted the terms and conditions written here below. In this respect, the customer accepts that all communications will be sent in writing to the email address or fax number provided during the reservation request. The customer shall check for any communications on their email and notify TuscanyAll.com in case of malfunction, providing a new working email address. Reservations are subject to availability and language confirmation by TuscanyAll.com. Regular tours do not foresee minimum number of participants, unless otherwise specified on the online catalog. Cancellation requests must be submitted in writing to TuscanyAll.com. The cancellation policy is specified into the service page. Cancellation requests communicated within 30 days before the date of the booked service will occur on a penalty charge equal to 30% of the amount paid. Cancellation requests communicated between 29 and 8 days before the booked service will occur on a penalty charge equal to 30% of the amount paid. Cancellation requests communicated within 7 days before the date of the booked service will occur on a penalty charge equal to 100% of the amount paid, therefore it will not be granted a refund. There is no refund for customers who do not use or take part in the service or booked tour without prior notice in accordance with the cancellation policy previously explained. In the same way, there is no refund for customers who use or participating only or partly on the service or booked tour without prior notice, in accordance with the cancellation policy previously explained. If for any reason TuscanyAll.com cancel the service or booked tour, the customer can request a refund only of the paid amount. 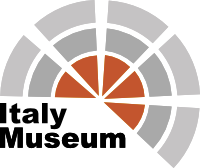 During the periods of greatest attendance, despite a reservation, admission to museums may be subject to delays, these are out of control and they are not responsibility of TuscanyAll.com. In the event that, operational difficulties or major force circumstances (travel conditions, strikes, opening and closing time changes of the museums, delays or other problems), TuscanyAll.com may be forced to change the program of the booked service or tour, alternative itineraries will be offered and / or visits to other museums without changes in the established fee, the customer will be informed before the start of the service / tour. Unless otherwise stated, the services / tours are free for children under six years of age. Children from six to twelve years and people belonging to special categories, may received a reduce fare that will vary depending on the chosen service / tour. To take advantage of the reduction is necessary, when requested, to submit a document certifying the age of the children. If the customer is unable to provide an official document that certify the selected category, the customer will have to pay the full amount. In case of unexpected increases of individual prices, exceeding 10%, as a result of new taxes, fee changes in the ticket admission prices for each museum disposed by the Museum Superintendency, rates will be adjusted and customers will be informed in writing. In the case that customers have already paid, an additional payment will be requested. In the case that the adjustment is not paid in full, the requested service will be canceled with a refund of the amounts paid up to that point. The offered services / tours are covered by liability insurance for risks, the indemnity limits and guarantees are established on the art.3 LR 23 March 2000 n. 42; Law 27 December 1977 n. 1084; Directive 90/314 / C.E.E. 13 June 1990 signed between TUSCANYALL.COM SRL and ITALIANA ASSICURAZIONI SPA third party liability policy no. 6125614. Insurance Policy FILO DIRETTO PROTECTION for insolvency or bankruptcy â€“ NOBIS Compagnia Assicurativa Policy no. 6006001244/W. TuscanyAll.com does not assume liability for damages caused by third parties or for reasons beyond their control and cannot be held responsible for the loss of valuables, luggage or other objects during the course of the booked service / booked tour. Any complaint must be in writing and sent to TuscanyAll.com no later than 10 working days from the date of execution of the booked service. Any disputes will be resolved by the Court of Florence. The program and the rates are valid in the period specified on the website and / or catalogs sent by TuscanyAll.com. Booking can only be made after the consumer acceptance of the general terms and conditions listed below. These conditions are available to the customer in the proposed offer and should be specifically approved before sending the service request. The conditions shall be considered accepted when the customer sends to TuscanyAll.com the inquiry through email or fax. The contract is considered signed when TuscanyAll.com confirms the reservation, with relevant information through email or fax. Any specifics details about your booking are included in the offer (sent before the payment), or through other media, as required by the applicable law. The partial payment of 30% of the fee must be paid at the time of booking. The balance must be paid within 30 days before the date of the visit. If paying by bank wire, you must send proof of payment via fax (n. +39 055 713655) or email, within the next working day of the reservation request date, unless otherwise specified. It is established that, in cases where the cancellation fees are applied in accordance with the provisions of the art. 5 of these conditions, TuscanyAll.com is legally authorized by the consumer to retain the amount of the penalty. Non-payment of the required amounts on the established dates constitutes a termination clause of this contract, except for compensation for any damage suffered by TuscanyAll.com. The price may vary and be modified up to 20 days before the date of the visit, only in the event that has occurred an increase of one of the following costs: transportation costs, including fuel cost; levy and taxes on certain types of tourist services; changes in prices of entrance tickets of individual museums partly as a result of temporary exhibitions present at the time of the visit and reported by the Museum Superintendency after the customer booking date. These changes will be reported to the exchange rates and the costs mentioned above, as well as to the prices quoted at the time of the reservation request. In the case that customers have already paid, an additional payment will be requested. In the case that the adjustment is not paid in full, the requested service will be canceled with a refund of the amounts paid up to that point. Significant modification of one or more elements of the contract, which can be objectively defined fundamental to the enjoyment of the tourist service as a whole, communicated by TuscanyAll.com after the conclusion of the contract, but before the date of the visit, and subsequently not accepted by the customer. Request a refund of the amount paid. The customer must communicate its decision (acceptance of changes or recede) no later than two working days after the reception of the notice sent by TuscanyAll.com. In case of lack of explicit official announcement within the deadline, the proposal formulated by TuscanyAll.com will be considered accepted. The same amount will be due even to those who cannot take part of the tour due to missing or irregular personal documents. There is no refund for travelers who decide to stop the tour or service already started. All cancellation requests must be sent in writing to TuscanyAll.com. In the case that Tuscanyall.com cannot provide, for any reason (except in cases depending on the customer) an essential part of the booked services in the requested days, Tuscanyall.com will provided an alternative solution to the consumer without additional costs. If the value of the services provided is lower than the estimated ones, the difference will be refunded. In the case in which no alternative solution may be possible, or if the solution offered by TuscanyAll.com is refused by the customer for serious and justified reasons, the customer will be reimbursed in accordance with the difference between the cost of benefits provided and the cost of services actually provided. c) any documented costs incurred by TuscanyAll.com to make the replacement, will be asked to be paid the assignee. The renouncing customer is jointly liable for the payment of the service balance, as well as for the expenses referred to in the subparagraph c) of this article. Regarding certain types of services, it is possible that a third party service provider does not accept the replacement, although it was carried out within the period referred to in subparagraph a) of this article, TuscanyAll.com in this case will not be responsible for any rejection of the amendment by such suppliers. This non-acceptance will be promptly communicated by TuscanyAll.com to the parties before the date of the tour. The customer will have to follow with prudence and diligence the ordinary rules and the specific regulations enforced in the countries of destination, all information provided by TuscanyAll.com and the guidelines, and official regulations and/or legislation related to touristic services. The customer will be held responsible for all damages suffered by TuscanyAll.com because of his inability to follow the above obligations. The customer is required to deliver TuscanyAll.com all documents, information and evidence in its possession relevant to the exercise of the right of subrogation, pursuant to the art. 48 of the Tourism Code, the latter against third parties responsible for the damage and is responsible towards TuscanyAll.com for prejudice to the right of subrogation. The customer will also communicate in writing to TuscanyAll.com, when booking, special personal requests that may be the subject of specific agreements on how to conduct the tour, provided that it is possible to implement them. The customer is obliged to inform the organizer of any needs or special conditions that may affect the usability of the service (pregnancy, food allergies, disabilities, etc. ...) and to explicitly specify the demand for personalized services. TuscanyAll.com is responsible for the damages caused to the customer because of total or partial non-fulfillment of the services described in the contract, whether they are carried out by himself or by third party suppliers, unless he proves that the event depends on the customer (including initiatives taken by himself independently, during the execution of touristic services), or on events not associated with the provision of the services described in the contract, by accident, major force, or by circumstances that TuscanyAll.com could not reasonably foresee or resolve, on the basis of a principle of professional care. The intermediary through which proceedings are already booked do not respond in any case to the obligations arising from the organization of the Tour, but is responsible for the obligations originated from his role as intermediary and in any case to the extent of liability under the laws or conventions mentioned above. TuscanyAll.com is also responsible for protecting the privacy of the data reported by the consumers, only when these are recorded on the database and not during the transmission. In any case, the compensation of TuscanyAll.com will be higher than the compensation for damages described by international conventions, with reference to the services whose non-performance is due to liability, that is the Warsaw Convention of 1929 on international air transport, the amended at The Hague in 1955; the Berne Convention (CIV) on rail transport; the Brussels Convention of 1970 (CCV) on the responsibility of TuscanyAll.com. In any case, the compensation limit cannot exceed the amount of 2,000 Germinal gold Francs for damage to the property, set forth in the article 13, n. 2 CCV and 5,000 Germinal gold Francs for any other damage, as well as those set by the article 1783 of the Civil Code. In case of change of these conventions, the compensation limits will be applied according to the law in force at the time of the unfortunate event. TuscanyAll.com is required to perform functions of customer service, based on a principle of professional diligence exclusively with reference to its obligations, or by contract or statutory regulation. TuscanyAll.com is exempted from liability (Art. 10 and 11) in the case of lack or incorrect execution of the service depended by the customer, or unforeseeable and unavoidable third events, or for acts of God. Any failure to perform the service must be notified by the customer on the spot, in order to give TuscanyAll.com or its local representative the possibility to quickly find a remedy. The customer can make a complaint by sending a registered letter with return receipt to TuscanyAll.com, within 10 working days from the date of service. If the problem occurs during the execution of the tourist services, TuscanyAll.com has the obligation to assist the customer in accordance with article 12, in order to find a quick resolution. In the same way, even in the event of an appeal reported at the end of the service, TuscanyAll.com will provide and guarantee in any case a prompt response to the customer request. Any dispute arising from this contract will be dealt exclusively by the Court of Florence. By mutual agreement, however, it can be expected that disputes arising from the application, interpretation, execution of the contract will be relinquished to the decision of an Arbitration Board composed of each of the two parties plus one chairperson appointed by the arbitrators already selected, or, in the absence of the President of the Court of Florence. The Arbitration Board which is based on the site where is the registered or administrative office of TuscanyAll.com will decide ritually and according to law, after possible conciliation. a) REGULATORY PROVISIONS: The contract covers the supply of transportation and accommodation services only rather than any other separate tourist service as they cannot be considered contractual cases of a travel organization or tourist package, they are governed by the following provisions of the CCV: art. 1, n. 3 and n. 6; art. 17 to 23; art. 24 to 31, as regards of the provisions other than those relating to the organization contract. b) CONTRACT CONDITIONS: These contracts are also subject to the following clauses of the general terms and conditions of the tourist package sale of packages as above reported: art. 3 paragraph 1; art. 4; art. 7; art. 9 paragraph 1; art. 15; art. 17. The application of these clauses does not determine the configuration of the contracts as the tourist package. The terminology of the cited clauses relative to the tourist package contract (organizer, travel...) is understood with reference to the corresponding figures of the sale contract of the single tourist services (seller, stay, etc.). c) WITHDRAWAL OF THE CONSUMER: The consumer who withdraws from the contract for any reason provided they are not attributable to the seller, will be charged the sums mentioned in the article 7. Technical organization: TuscanyAll.com srl Via Scandicci 22r - 50143 Florence (FI) * The contract is subject, notwithstanding any contrary clause, the provisions of the Convention under article 3 of Tuscany Regional Law 16/94 (CCV) and Directive 90/314 / CEE relating to travel, holidays and package tours.